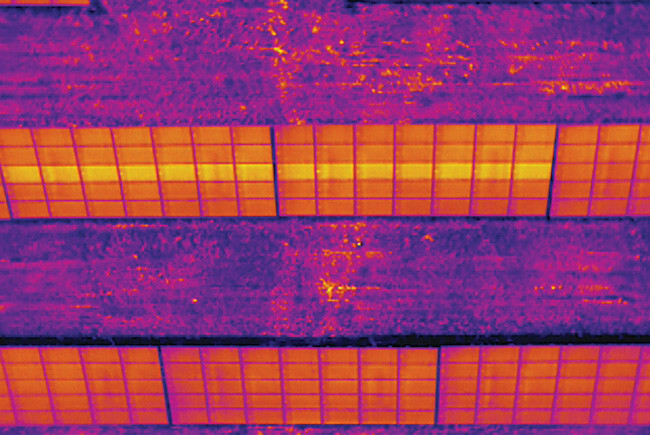 This solar plant was inspected by drone with an infrared camera. During Hurricane Irma, drones helped show damage in Florida. 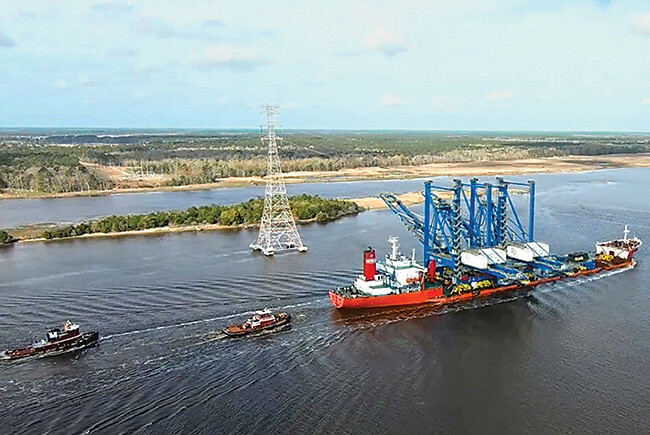 Drone inspections reduced the number of times employees had to climb 335-feet-tall transmission towers in Wilmington, N.C.
For nearly a century, unmanned aerial vehicles – or drones – were military tools, but in the last decade, drone use for civilian tasks has skyrocketed. The energy industry is no exception. Duke Energy started using drones in 2015 to inspect wind and solar sites. In February 2018, our drone operators engineered a way to help string power lines in Puerto Rico after Hurricane Maria. Jacob Velky, manager of the Duke Energy Unmanned Aerial System group, said the company trained 30 employees to use drones and hope to double that soon. Flying a drone with infrared capabilities over solar sites eliminates time-consuming testing and helps technicians identify faulty equipment within seconds. Eric Stone, supervisor of solar operations for Duke Energy Renewables, says the technology saved more than 260 hours of work since they began using it in 2017. Drones provide an overall view of our solar fields based on heat signatures. “That’s where the real wins come in,” he says. “It could be a matter of a technician taking 30 minutes to plug up some wires to get back the energy we were missing.” Drones can also inspect power poles and substations with thermal technology. 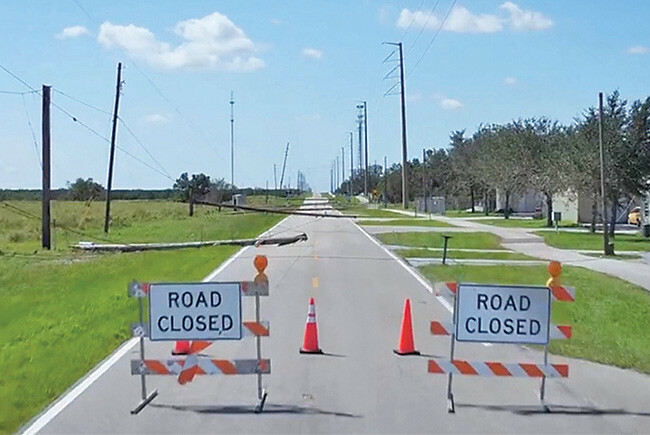 Helicopters remain the primary tool for damage assessment after major storms, but operators can use drones to perform more detailed inspections in densely populated areas. For example, we used drones after Hurricane Irma to find safe paths for equipment access. Across our industry, drones make it easier and safer to inspect tall structures. Instead of climbing a tall power pole, a drone can take pictures from multiple angles. Drones also make it easier to see small defects like cracks on a wind turbine. Drones can provide a unique perspective for businesses scouting locations. Keith Gabriel, who works with our economic development team, operates drones to help local governments highlight undeveloped land and attract new companies, jobs and revenue to our service area. He recently flew a drone over a North Carolina Data Campus where Apple, Facebook and Google have operations, to help prospective tenants view the land’s potential, including buildable area, nearby amenities, highways and access roads. As drone technology progresses, Duke Energy employees continue to look for new ways to apply it. Visit duke-energy.com/FLFuture for additional information on how Duke Energy is investing in Florida’s energy future.